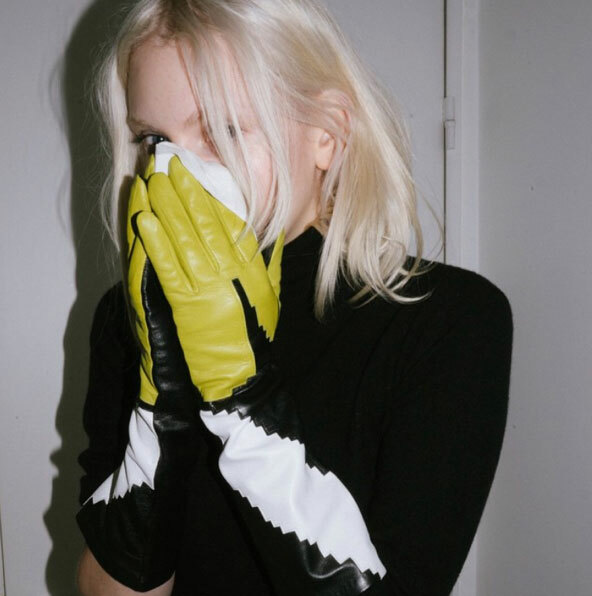 ARISTIDE French House luxury leather gloves. ARISTIDE is a French House which specializes in the manufacture of luxury leather gloves. It was founded in 2010 in Nîmes (South of France) by the young self-taught artist Bertrand Mahé, who was only 29 at that time. The brand rapidly earned its place on the world stage thanks to a strong artistic approach and deep urban influences, artfully blending a traditional know-how with highly desirable, authentic and decidedly contemporary designs. The brand is distributed worldwide by the most selective and prestigious retailers (Luisaviaroma, Bloomingdales, L’Exception, Lane Crawford…) who were receptive to the avant-gardism and the unparalleled quality of its collections. Designed in Paris and manufactured in Portugal and in the Philippines through traditional craft methods, ARISTIDE gloves establish themselves in our wardrobe as the master-piece of our winters. 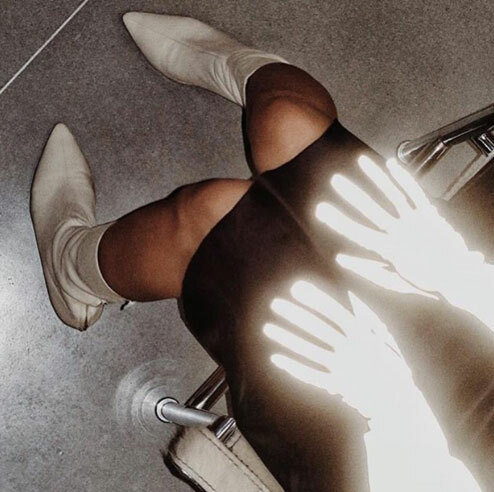 Additionally, many companies rely on ARISTIDE’s expertise to develop their own leather glove collections, such as Kenzo, J.W.Anderson, Courrèges or Raf Simons. Since this year, ARISTIDE has also developed a line for men. 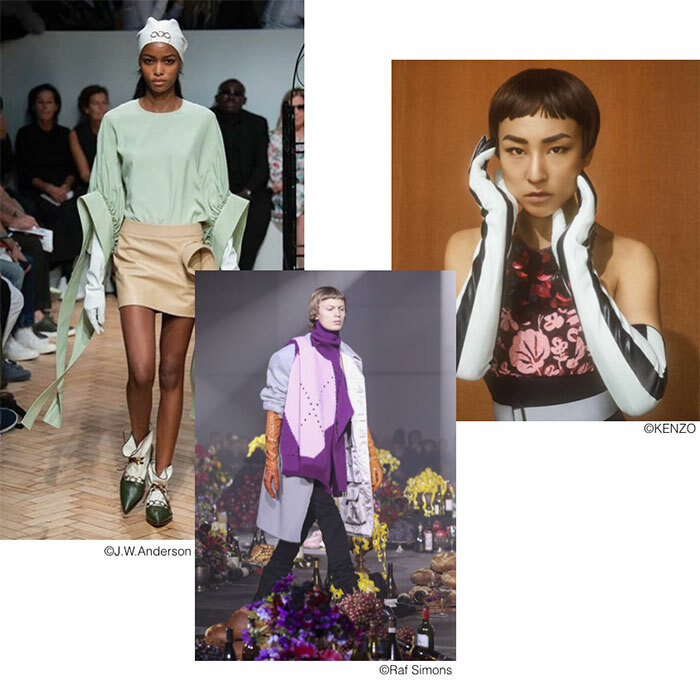 With their strong designs and bold cuts, they lie within a changing social context where the boundaries between genres are subtly mixed. Originally from the South of France, Bertrand Mahé rapidly develops an interest for contemporary art. 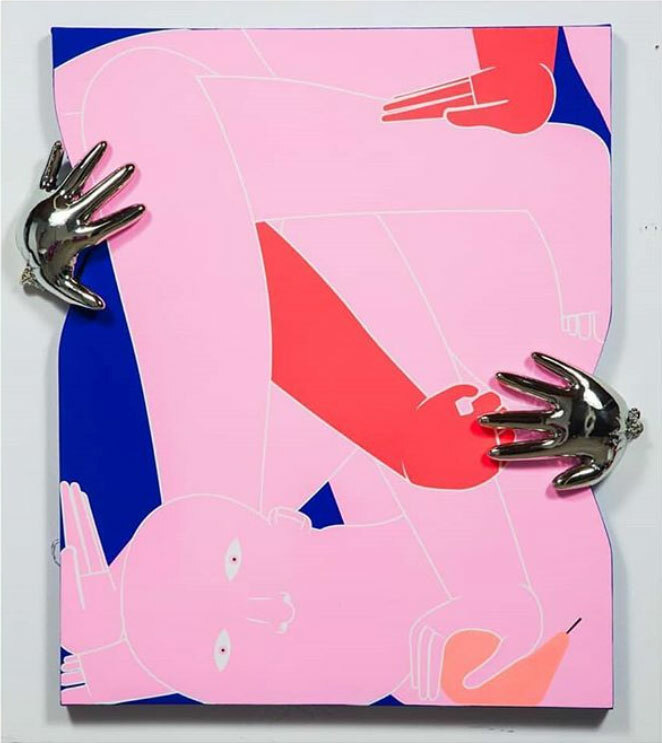 He is fascinated by subcultures which constantly influence his works, from street art in his teenage years to canvases he displayed shortly after in bars and other social spaces, in Nîmes and Montpellier. 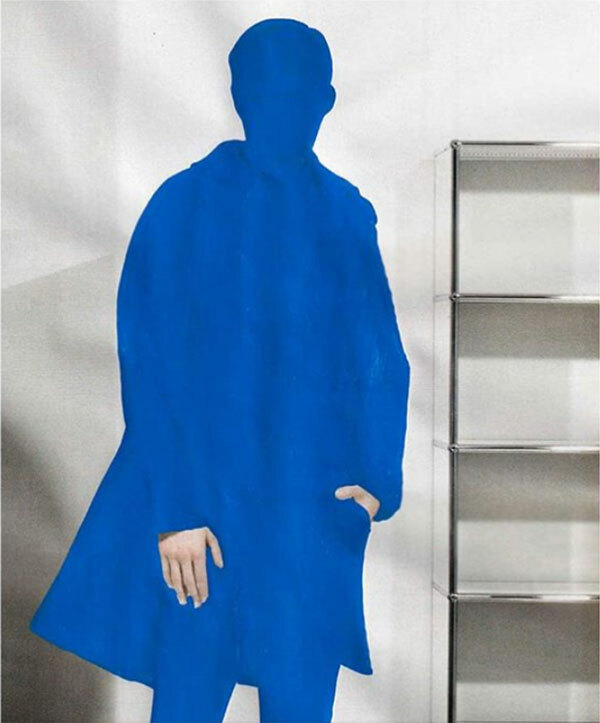 On the 28th of September 2007, the director of a French leather gloves House notices the work of Bertrand Mahé as he was walking through one of the exhibitions. He asked him to design a collection for his brand and it is at that very moment that the ARISTIDE adventure began. Bertrand Mahé discovered the world of glove-making and the numerous steps of craft manufacturing required for the creation of a leather glove. The importance of the accuracy of the gestures, the preparation of the leather and the passion with which the craftsmen shape it captivate him, and 3 years later, ARISTIDE was born. The contrasted black and white stripes, so emblematic of the brand, will be adopted right from the beginning. This is a reference to an artist who deeply inspired Bertrand Mahé : Daniel Buren. 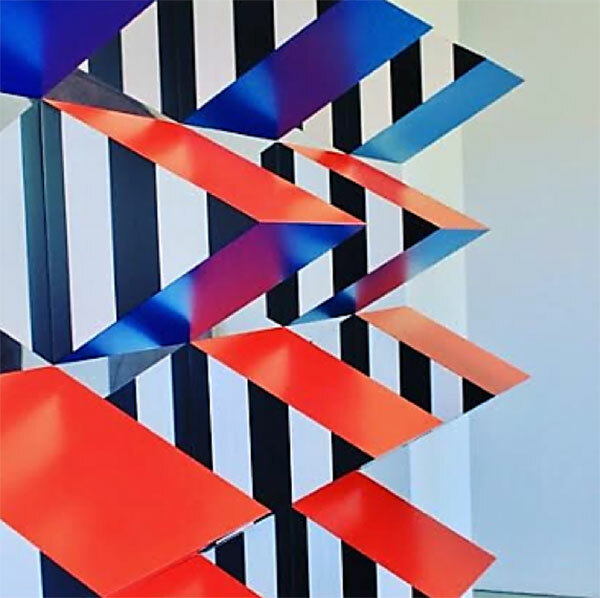 Originally from Boulogne-Billancourt, Daniel Buren is well-known for his « in situ » installations (just like the Buren Columns that stand in the courtyard of the Palais Royal in Paris), which disclose the characteristics and the spatial and institutional constraints of their environment. More than the aestheticism of his works and this particular relationship with the context, Bertrand Mahé admires the artist for his integrity, his bold - but always assumed temper, and his unconventional and visionary art. Very soon, ARISTIDE stands out from the crowd by bringing together an impeccable manufacturing quality with sharp contemporary designs, therefore contrasting with the ageing image of the French glove making industry. In view of the success of iconic pieces such as the gloves « Kiss », or the muffle-mittens with fur lining, Bertrand Mahé seems himself bound to settle his activity in the capital city. Still today, he conceives all of his collections himself in the 11th arrondissement of Paris, which he holds dear to his heart. The ARISTIDE world is above all eclectic, and draws its inspirations from art and music, as well as history. The House skilfully revisits the codes of the classic wardrobe to present a new and subversive, radical and elegant fashion. Oversized volumes, unusual cuts, constructed, deconstructed or minimalist, the ARISTIDE style is unique and intrigues.